Don't believe everything you may have heard about the so-called demise of sports bikes. While it's true that the once unrivalled popularity of four-cylinder, 600cc 'supersport' machines such as Honda's CBR600RR and Suzuki's GSX-R600, is a long way from what it used to be, on the other hand there's now more 'sub-600cc' sports bikes available than ever. The main reasons for this are two-fold: firstly, a combination of an aging motorcycling demographic along with ever-faster and more extreme machines that are arguably less suited to the road has prompted a decline of the traditional sportster in favour of more road-friendly 'nakeds' and adventure bikes. While at the same time, and particularly since the introduction of new licence laws in 2014, there's been a growth in interest by newcomers to motorcycling in 'A2' licence compliant, usually sub-600cc machines of all types - including sportsters. To recap: since 2014, all new riders of 19 or over, once they'd passed their CBT, were restricted to A2 category bikes with a power limit of 35KW (47bhp) and a power-to-weight ratio of no more than 0.2KW per kg for two years. The only exception to this is riders over the age of 24 who can take their 'direct access' test on a larger machine. In terms of bikes, the main effect of this was to create an all-new category of machines - A2s. And as with any popular capacity classes of bikes, there's all types to choose from - roadsters, adventure bikes and, yes, sportsters. 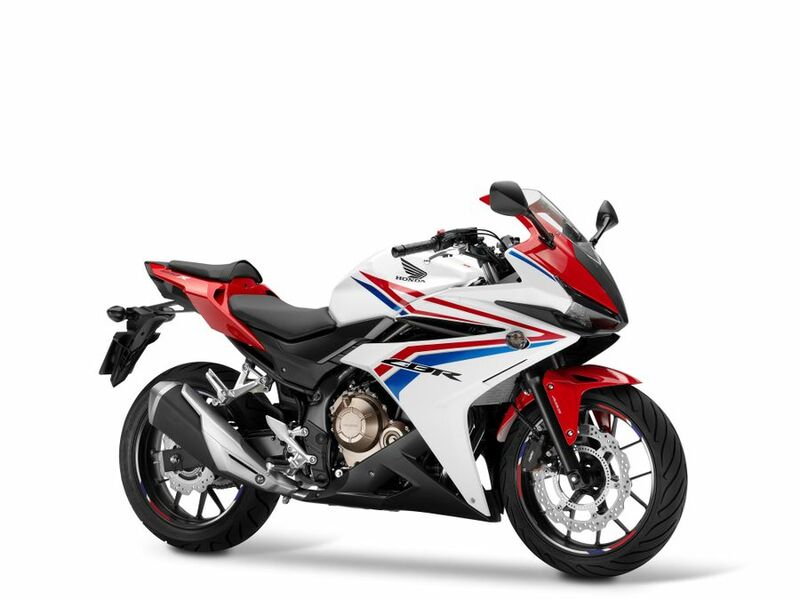 First introduced in 2014 as the fully-faired, sports variant of Honda's all-new, purpose-built, three strong 47bhp 500cc twin family (its siblings being the roadster CB500F and adventure style CB500X), the CBR was designed to fully exploit the new regulations in terms of performance but also, in typical Honda vein, be a quality, affordable machine in its own right. The CBR succeeds on all counts. As a full, 471cc, 47bhp, parallel twin it's the most substantial of the bikes here yet in no way intimidating - in fact quite the opposite. The larger engine is impressively flexible yet still capable of over 110mph. The chassis is nimble, manageable and comfortable. It's decently equipped and stylish (especially since its 2016 update which brought sharper, Fireblade styling plus tweaked and now preload-adjustable forks) and yet, due to its fairly basic components, modular approach and the fact it's built in Malaysia, it's impressively affordable, too. No wonder it's so popular. 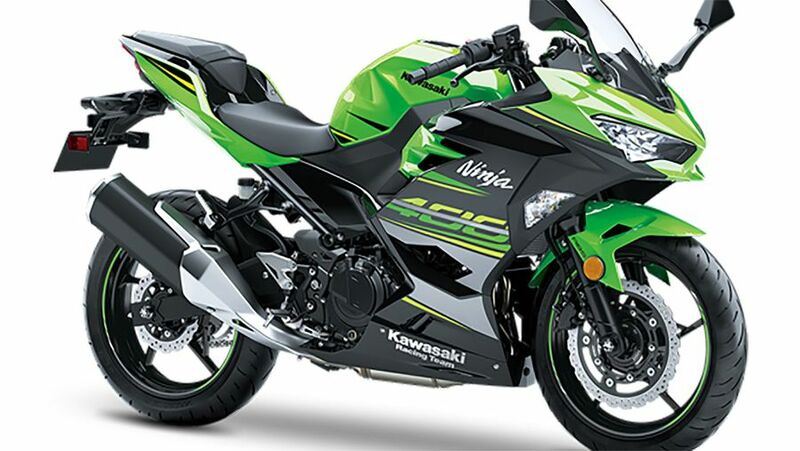 Though new for 2018 and no resembling more than ever its multi-WSB championship winning ZX-10R Ninja big brother, Kawasaki's Ninja 400 actually has a lineage which dates back over a decade to the original Ninja 250R from which it has evolved. That bikes, a sporty but novice-friendly, liquid-cooled parallel twin was replaced by the sharper, 296cc, 39bhp Ninja 300 in 2013 which in turn has led to this new 399cc, 44bhp 400. The engine is all-new to get through Euro4 regulations, both more powerful and gruntier than before while its new, H2R-style tubular steel trellis frame is lighter than the old and notably racier than, say, its Honda rival. Best of all, though, it's also got racier styling and improved brakes and clocks (from the Ninja 650). Austrian firm KTM are reknown for its aggressively-styled, lightweight, punchy single cylinder machines whether that's in off-road competition such as motocross and enduro where it originally made its name or in its more recent, road-going supermotos and nakeds - and the same is just as true of its latest additions, the sports RC family. The smallest of these are the A1-compliant RC125 and, here, the A2 RC390. 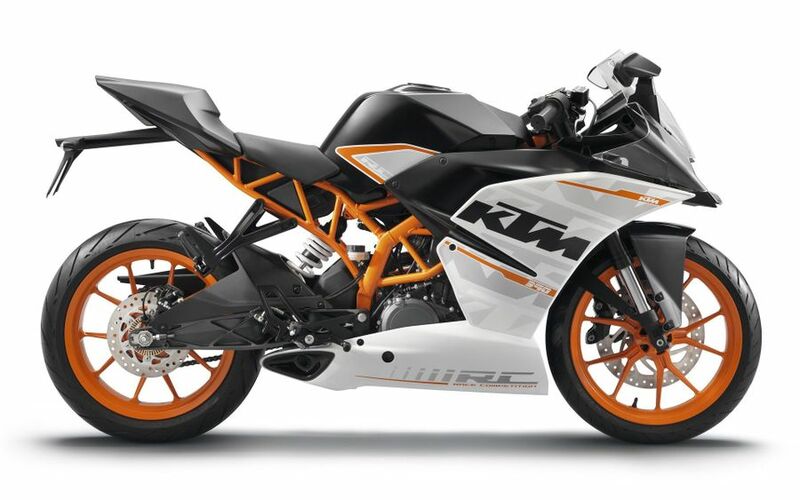 Both share similar, lightweight, compact tubular steel trellis frames, modern, liquid-cooled, single-cylinder engines (as derived from those of KTM's supermotos and off-roaders), decent cycle parts and aggressive styling. In this 390 form that means 373cc, 44bhp and a zest for corners and eagerness to excite most others can't match, while still being reasonably novice-friendly. On the downside, the KTM is neither cheap, is not particularly roomy or comfortable for larger riders and is fairly Spartan, too. Though on face value Yamaha's A2 sports offering ticks all the boxes, it's also often the least conspicuous contender in this class. 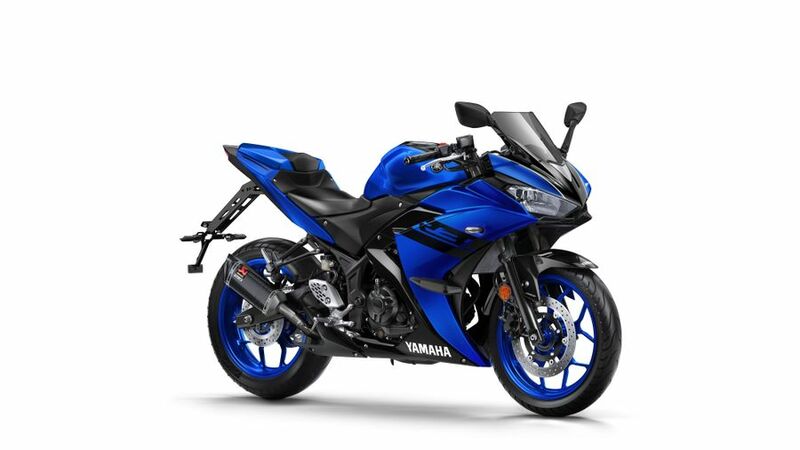 That's partly due to being 'AN Other' Yamaha 'R' sports bike in a family that also boasts 125, 600 and 1000cc versions but also because, though good, it has little to set it apart from the Honda, new Kawasaki or KTM. Like the Kawasaki, it's a 300-odd cc parallel twin, in this case 321cc producing 41.4bhp - figures both bested by the new Ninja. 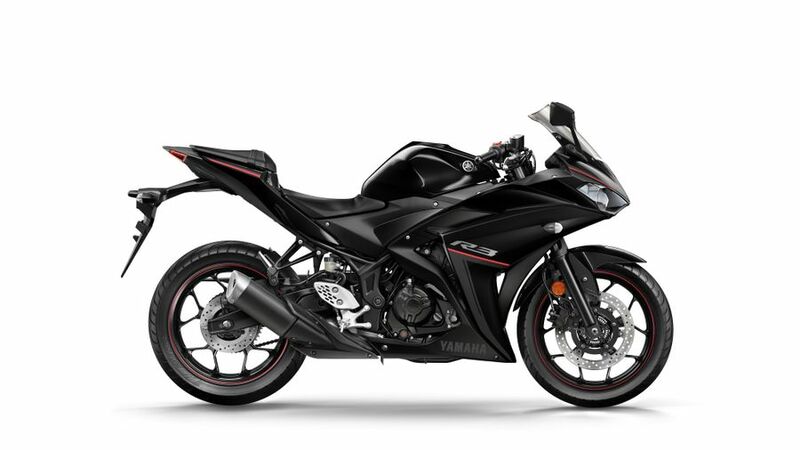 The Yamaha's chassis is decent and novice-friendly though nothing to write home about and its spec is adequate, too. Even in value terms it's only a fraction cheaper than the newer Kawasaki, although, as a used buy, bargains can certainly be had. 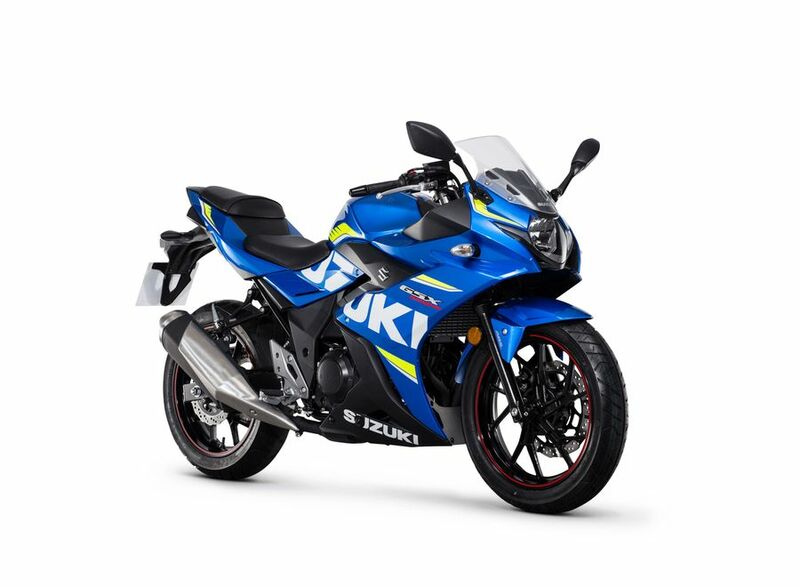 Don't be too swayed by those aggressive GSX-R1000-alike lines and MotoGP-inspired blue livery, Suzuki's new GSX-R250 (it was launched in 2017) is largely a case of 'all mouth and no trousers' - and in many ways that's a good thing. Simply, as based on the fairly tame Inazuma 250 roadster, this most junior of GSX-Rs is very much intended as a bike that's completely unthreatening and easy for novices to ride - yet one with all the style and pose potential of a full bore sportster. It works, too. The Inazuma's liquid-cooled, four-stroke parallel twin, in producing just 24bhp, is a full 20bhp down on some of its rivals here (and is also weedier than Suzuki's air-cooled GSX250 of 35 years ago), yet is gentle, flexible and frugal. Its chassis is more basic and less sporty, too - which sometimes is what you want if you're a very inexperienced novice. And yet, despite all that, it still looks brilliant and is pleasing and reassuring and fairly cheap, too. All that might not add up to sports performance, but it does make an introduction to sports-style bikes that's about as friendly and easy as you can get.